1. What can I learn from them? 2. How do I find their most relevant data? The primary role of a search engine is to define which page best answers the question posed by a user. Once the engine has found both relevant and less relevant pages, it puts them in order. It goes without saying that the higher you are on the list, the more chance you have of being discovered by a potential customer. Whether your product, service, website design or customer experience makes them buy from you, visit your site or sign up to your newsletter is another matter. However, checking out which of your competitors ranks highest and finding out how they got there is nothing short of marketing gold. SEO is a match, a race, a game of chess. The winner comes out on top. In order to beat your competition, you ‘simply’ have to be better than them. Search engine optimisation is not just a tool you play with to keep both the search engine and its users happy. It’s website espionage. Ignore it at your peril. 1. Which search terms are they using for both organic and paid searches? 2. How well does their backlink profile function? 3. How up to date are their websites? Are they taking advantage of any new technology? 1. Are your competitors’ search terms relevant to your organisation? 2. Which of your backlinks actually help you? 3. Which of your competitors’ backlinks will help you? 4. How up to date is your own website? Are you taking advantage of new technology which has been proved (by your competitors) to enhance user experience? By answering these questions it is possible to work out your own SEO or PPC strategy without wasting funds on unnecessary research, testing, and analysis. After all, the answers to all of your queries have already been provided by the most successful organisations that make up your competition. At the beginning of your SEO journey, the first important task is to collect the best search terms for your website. In order to do this efficiently, you need to look at the terms your competition uses for each separate channel. This information will allow you to set up a list of effective semantic SEO keywords. Semantic SEO is the process of building more meaning into the words you use in your content. This does not mean simply answering the questions your users ask, but optimising for user intent. This means your SEO terms will be made up of a series of keywords, as well as specific words defined as either paid or organic. The best way to go about collecting your semantic SEO is, once again, to look at the competition. To come up with a selection of keywords that will make a tangible difference to your organisation’s search engine rankings you will need to use an SEO or PPC analytics tool. Why a tool? Any website might have hundreds of search terms scattered throughout the pages, and going through this manually, however systematically, will take up too much precious time. Furthermore, a high-quality SEO tool will pick up on terms you might have missed. It’s much better to let the data be read by an automated piece of analytics software. This means that instead of just scraping off the top layer with a manual evaluation, you can take advantage of an in-depth look at how the competition increases website traffic without spending valuable time searching for it. SEMrush is one of the best known and largest platforms in the SEO tools sector. The service includes deep analysis of competitors, including domain analysis, keyword research, backlink checks, and many other features. Start your research by inputting search terms you know are suited to your business and picking out your most important competitors accordingly. In SEMrush this is done using the Keyword Overview function; simply type in your search term. You can also indicate geographical regions or languages or simply select from a long list. The first results screen shows general information concerning the search term, such as volumes, number of pages in the search results, the costs for Google advertising and so on. With this list, you can begin putting together your semantic SEO lists. As SEMrush data has been put together through the analysis of competitor sites (who, like you, want to be placed as high as possible on the search engine listings), the terms on your list could make an immediate (and positive) difference to your search engine ranking. The next step is to research one of your competitor’s domains. Scroll down to see the list of competitors. This list is split into organic and paid. It is also possible to export data from advertising campaigns. By clicking on the links in the left-hand column, you will see a domain analysis report for SEO and PCC campaigns which lists the number of search terms used. Open up that list and you will also be privy to your competitor’s website backlink details. This is an extremely important part of competitor research which deserves its own blog. It is now possible to put together your own set of search terms, together with an estimate of cost and potential profit. You can try out SEMrush for free, but to get the full set of features you will need a subscription. If you are serious about SEO, signing up for a powerful tool is a no-brainer. A reputable website developer will have multiple subscriptions with various SEO applications. SE Ranking is another popular name in the field of SEO and is a platform offering a wide range of SEO tools. Most famous of these tools is the Rank Tracking tool. For competitor analysis, you should look at their easy to use SEO PPC Research tool. While SEMrush caters for those with basic SEO knowledge, SE Ranking can be used by complete amateurs. You can carry out analysis on search terms, so simply add a term you can use to check out the competition. SE Ranking will list the popularity and profitability of the term, give a click-cost review and competitor index, and tell you how much it will cost you to use this search term. If researching keywords and search terms it is recommended to use the SE Ranking suggestions program where you can view comparable, related and longtail results. You will also be shown a list of competitor websites which use each term, split once again into organic and paid columns. Domain analysis should be your next step. Simply type in the URL of the website you wish to research. You will be given the number of search terms this competitor uses to increase both organic and paid traffic, how many visitors it gets, and how much this costs. You will also see a complete list of keywords when you click on the ‘Detailed Report’ button. And not only that, but you will also see a full advertising history which includes budgeting information, how long a campaign ran for, any changes made to that campaign, and which campaign versions worked best. This means you have information at your fingertips telling you whether it is worth carrying out Google advertising campaigns using their search terms or not. You will also be able to decide, without costly experimentation, whether SEO or PPC is best for your organisation. This is the equivalent of using another lab’s research to launch the latest pill. Experimentation, trials and market research use valuable time and funds. High-quality automated SEO tools allow you to learn from other people’s mistakes, meaning you don’t have to repeat (or pay for) them. An auditing and research platform, Ahrefs is another big name. SEO tool platforms are notoriously fleeting, but the three described in this blog are long-standing frontrunners in the world of SEO. Most popular is Ahrefs’ powerful backlink checker. However, not many individuals realize the backlink checker’s additional importance in the field of competitor research. Working in a similar way to the other two platforms, Ahrefs also allows you to search via keyword (Keyword Explorer) or domain (Site Explorer). Ahrefs’ Keyword Explorer will give you results showing keyword volume, Google advertising costs, Ahrefs own indexing of the term, and also – very useful – will let you know how tough it will be to achieve Google top ten ranking using that particular term. If you scroll down you will find a table with a highly detailed search engine result page-analysis for each keyword. However, what you won’t get with Ahrefs (unlike SEMrush and SE Ranking) is the opportunity to view the paid search data. Site Explorer offers information relating to a domain’s search terms, and traffic and cost estimations. However, the true power of this tool lies with domain backlink research potential. Here you can judge for yourself whether your budget is realistic for high SERP scores within your particular sector. All three of the above listed automated SEO tools have proved themselves over a number of years and deserve their high ratings. Ahrefs comes up trumps for backlinks but lacks the broader search term data offered by SEMrush and SE Ranking. If you use a website design and marketing agency, chances are they will be signed up with more than one platform. If you choose to research and implement SEO yourself, absolute beginners will probably appreciate the simplicity of SE Ranking. Whatever your level, take the time to try all three sites. You may need to fill in credit card information to get access, but this is not enough of a reason to waiver an opportunity to test these tools out. All of them offer multiple tools or modules which cover much more than the items listed within this blog. Naturally, there are more platforms, modules, and toolkits out there. The trick is to try them out with a specific and exact strategy, using the same variables for every tool and making not of the results. Score according to generalised and niche terms, English and one or two other languages that, either now or in the future, apply to your website. Check global and local results. And be prepared to use more than one should your SEO strategy expand. Competitor research is not a one-off task. The numbers and accuracy of the available data are only as good as the research carried out. If you fail to respect geographic areas, language, niche sectors and any number of variables, you will only have access to incomplete, less accurate data. While SE Ranking might have the largest keyword database, for some areas of the world and some languages it is lacking. This means those operating multilingual sites should be aware of any limitations. Keyword research and competitor research should be part of your marketing and advertising budget. However, thanks to quality tools and often very competitive rates, automated services have made themselves an integral part of the SEO department. For those using agencies, competitor research should be included in your agreement. Ask which SEO tools they use and check them out for yourself according to your own generalised and niche search terms. With SEO and PPC tools it’s not only the features that count but how appropriate they are to your sector and your target customers. 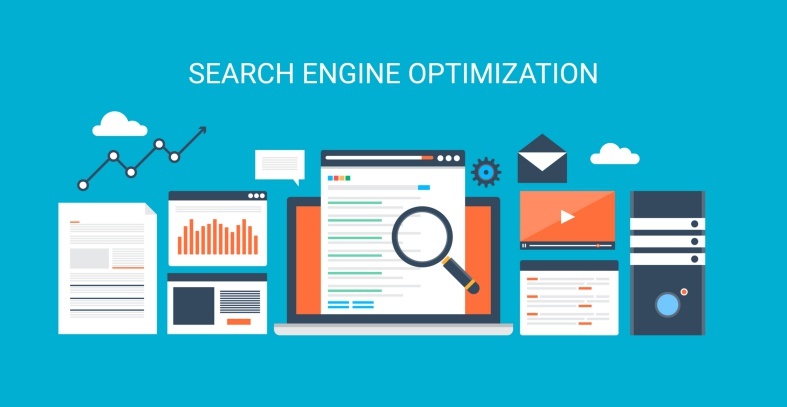 By continually researching your own and old and new competitors’ keywords and SEO or PPC strategies, it is possible to achieve high search engine rankings and, just as importantly, stay there.